With a stay at The Crown Hotel in Swindon, you'll be within a 15-minute drive of Swindon Designer Outlet and Lydiard Park. This inn is 6.2 mi (10 km) from Swindon and Cricklade Railway and 6.3 mi (10.2 km) from ATBShop Skate Warehouse. 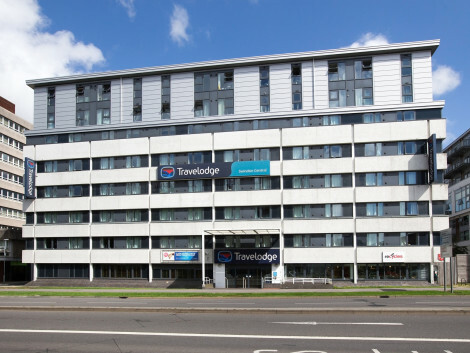 A convenient Swindon hotel with onsite meeting rooms and breakfast includedHoliday Inn Express® Swindon - West hotel is just off the M4, a short drive from Swindon station.Direct trains from Swindon reach Bristol in 45 minutes, or central London in around an hour. Flights at Heathrow Airport (LHR) are about an hour away by car, and Bristol International Airport (BRS) is even closer. Business guests are within easy reach of many of Swindon's top companies, including BP, Nationwide, RWE NPower and Catalent. Our flexible conference rooms provide professional space for a meeting or team briefing and can accommodate up to 60 people. If you’re not working you can explore 500-year-old villages in the Cotswolds, take the family to the safari park at Longleat or hunt for bargains at McArthur Glen’s Swindon Designer Outlet Village.At this hotel you can enjoy:- Free Wi-Fi- Complimentary on-site parkingFuel up for a big day with the inclusive Express Start™ Breakfast buffet with continental and hot items, fruit juice and tea & coffee. In a rush? Pick up a Grab & Go breakfast. Head to our garden-view dining room anytime and order a quick bite from the All Day Dining menu. Our quiet guest rooms all come with handy desks for work, USB ports to charge your devices and quality bedding for a comfortable night’s sleep.